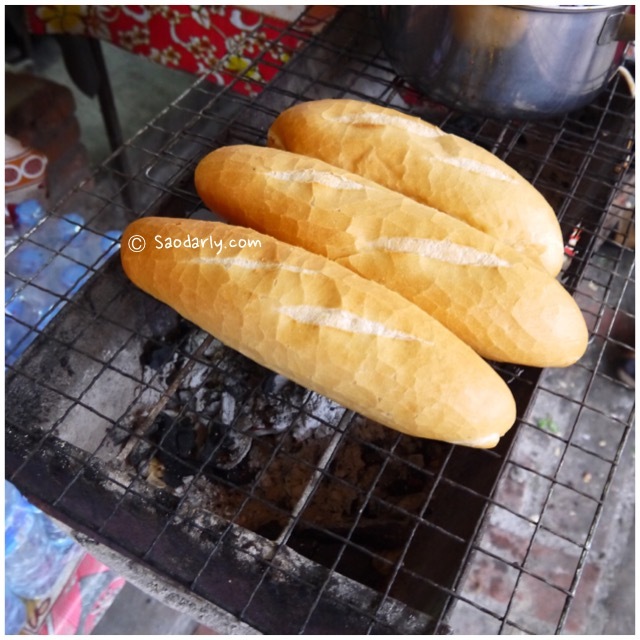 Lao Baguette (sandwich) or Khao Jie Pate ເຂົ້າຈີ່ປາເຕ (Khao Jee Pate) for breakfast in Luang Prabang, Laos. 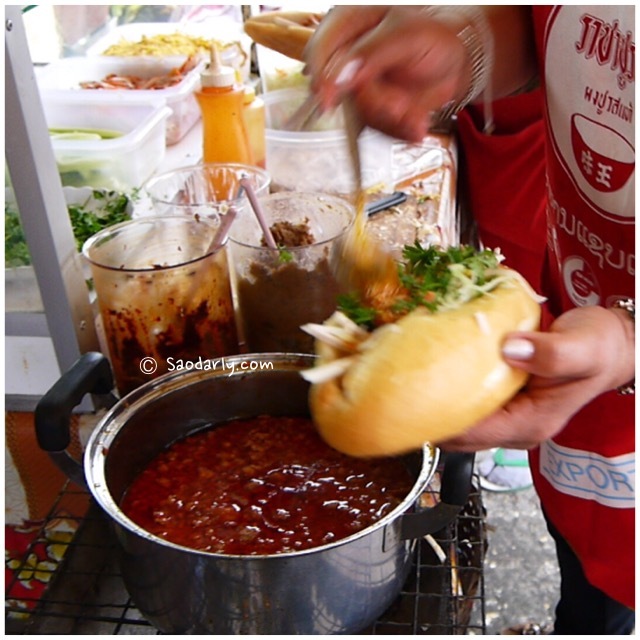 What’s interesting about this particular sandwich is the adding of Jeow Bong ແຈ່ວບອງ for the unique taste. 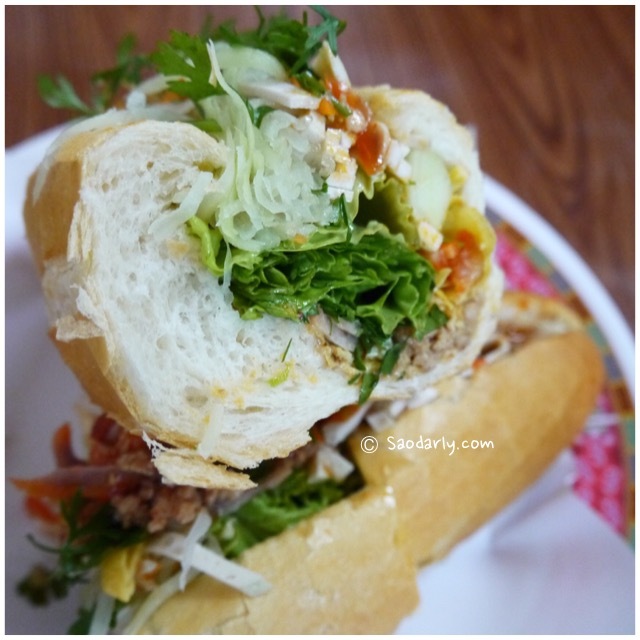 I ordered a big sandwich that was cut into smaller pieces, which was enough for three people actually. I ate one piece and gave the rest to my aunt and cousin. 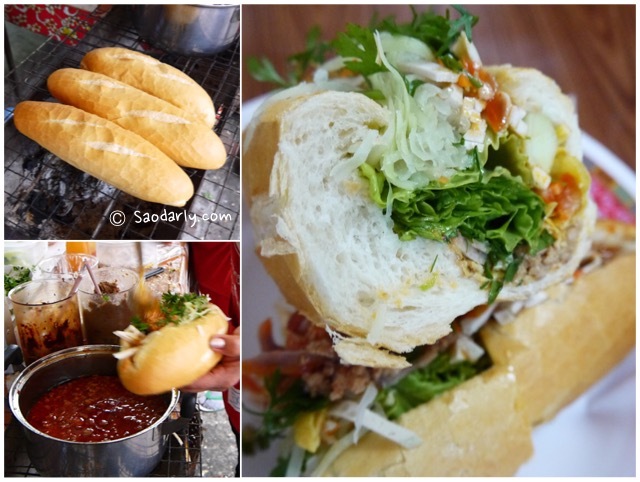 This noodle and sandwich shop is quite popular in the morning. 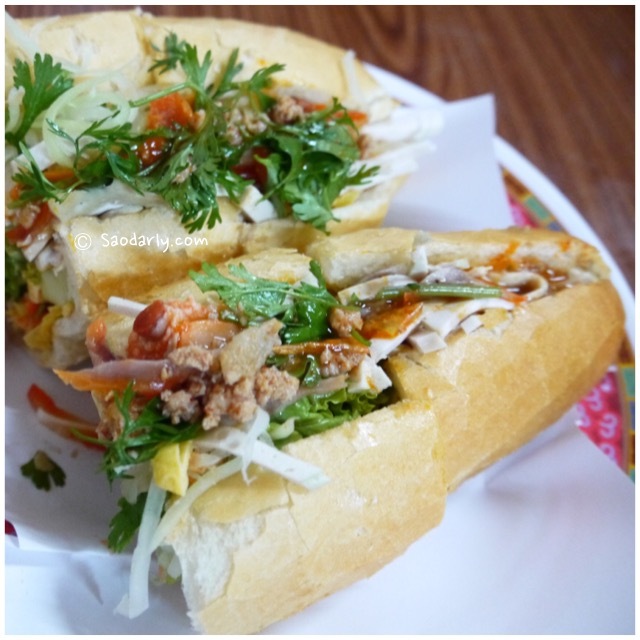 The name of the place is Nang Air and sits opposite of Dara Market, where Kitsalat Road meets Kingkisarath Rd.